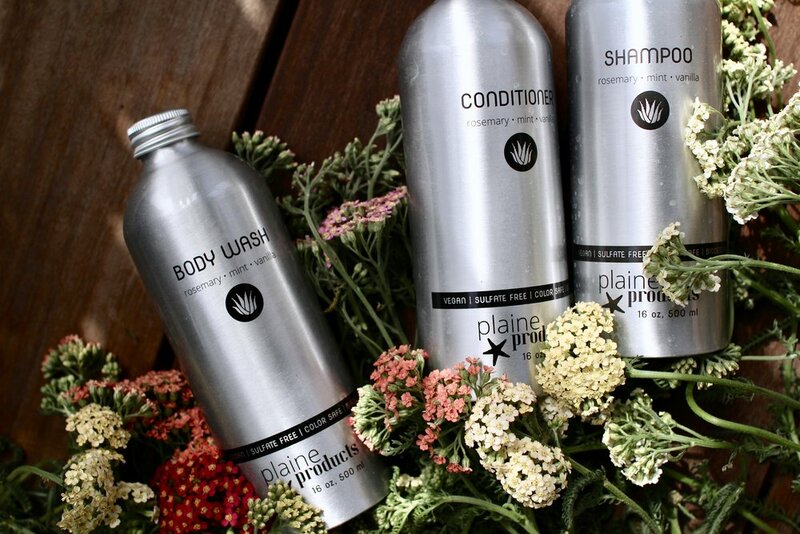 Well, good thing dreams do come true, because with Plaine Products, you can have plastic-free shower routines. And with the raw and real stories, struggles, and tips that their Co-Founder, Lindsey McCoy shared with me, you can also learn what sparked the birth of their ecoprepreneurial venture, what keeps them motivated and inspired, what makes them hopeful, and more. What's something you stumbled upon that really surprised you? "When I started doing research for Plaine Products, I was shocked to realize how many chemicals there are in mainstream beauty products. I was probably too naive, but for me it was an eye-opening experience to read about the toxins, detergents and pollutants I was putting on my skin every day. While we started this business out of concern that there might soon be more plastic than fish in the ocean, it’s become as much of a mission to provide safe, toxin-free products." What sparked the birth of Plaine Products? "For 10 years, I lived in the The Bahamas doing environment education work. On a small island there’s no first world infrastructure to insulate you from the piles of plastic we are creating. You see plastic bags, bottles and flip flops on the beaches, in the water, spilling out of the landfills, along the side of the road. There’s even a place so full of plastic its called "Junk Beach." The message that plastic lasts forever, no matter how long we use it, is much more obvious there than it is here. Anyway, I wanted to start using less plastic in my life, and I started taking action: Carrying a reusable water bottle, reusable grocery bags, skipping the straw at restaurants and bars, etc. I also looked for other ways to use less plastic, but I couldn’t figure out how to get those plastic bottles out of my shower. As we contemplated a move back to the States, I realized that I might be able to solve my own problem. Even better, I realized I might be able to help other people use less plastic in their lives. I pulled in my sister, Alison Webster, who has a design degree and strong opinions about the quality of her products. And together, we spent two years working hard to make it easier for people to get quality products without having to buy single-use plastic bottles." 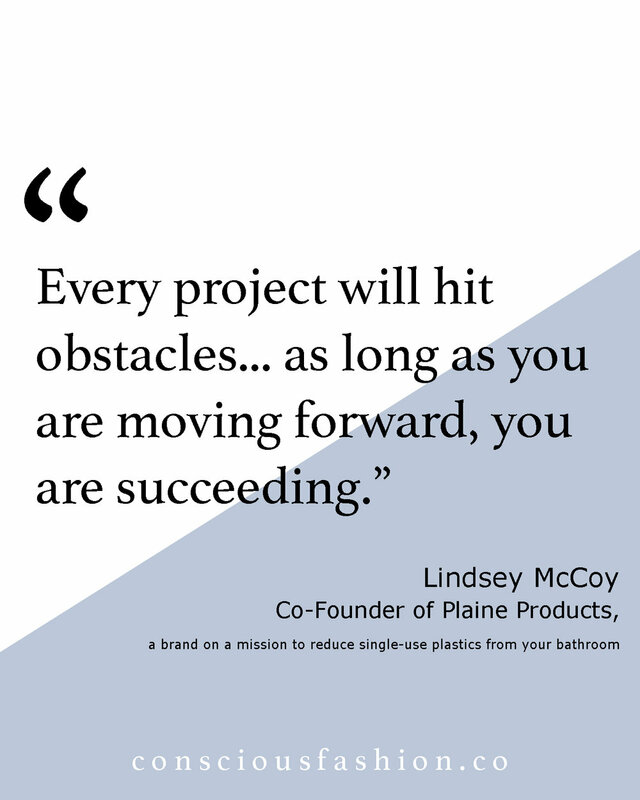 How did you overcome your biggest struggle in bringing Plaine Products to life? "As far as we know, we are the only company that is taking responsibility for our packaging this way. We pay for customers to send back their empty bottles, then we pay to sterilize, refill and reuse the bottles. So being the first meant getting things started was tricky. It took us almost two years to find bottles that could be washed and reused, to settle on a manufacturer with quality products that would refill used bottles, and to figure out how to make the process as easy as possible. It took a great deal of patience and perseverance. We made a lot of mistakes and learned a ton along the way." What is one challenge Plaine Products is trying to tackle? 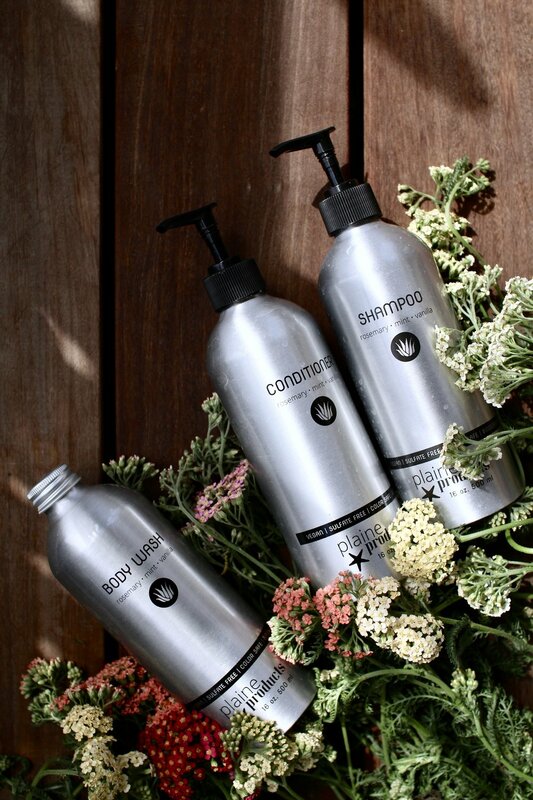 "We are working on adding an additional scent and more products so we can help save more plastic bottles from ending up in landfills and the oceans. Because we are reusing the bottles, the process is also a little more complicated than most people are used to. So we’re constantly trying to tweak our messaging and the information on the site to make the process as clear as possible." "Being a young company, we have been so lucky to be so well received and have such supportive fans. People have been thankful to us for providing an easy way to have reusable bottles with great products to reduce their plastic wastes. Those comments and appreciation keep us going. We are completely a mission-based company, so people being on board with that mission is super exciting!" As conscious beauty experts, what simple skin-care tips do you have to share? "A Sunday evening foot soak! Fill a small tub with warm water, add about a tablespoon of coconut oil and a few pumps of Plaine Products body wash. Insert feet, watch Netflix until the water isn't warm anymore ;)"
What would you tell aspiring change makers wanting to realize their passion projects? Every product and project will hit road block and obstacles. The difference is whether or not you find a solution. It may not end up looking that way you thought, but as long as you are moving forward, you are succeeding." "By getting outside. I try and take some time off and get outside for a short time each day and longer on the weekends. Whether its a walk with the dog or time at a park, it’s important to spend time outside to remember what we’re working so hard to protect." "How far we’ve already come brings me great hope. I’ve seen the environmental movement change so much throughout my lifetime. The fact that people are supportive of our products and our mission gives me hope. The growing awareness of the problems plastics are causing gives me hope, along with the variety of solutions that are coming from around the world. So many of them from teens and kids. I believe things are moving in the right direction, we just have to keep working to keep the momentum going." 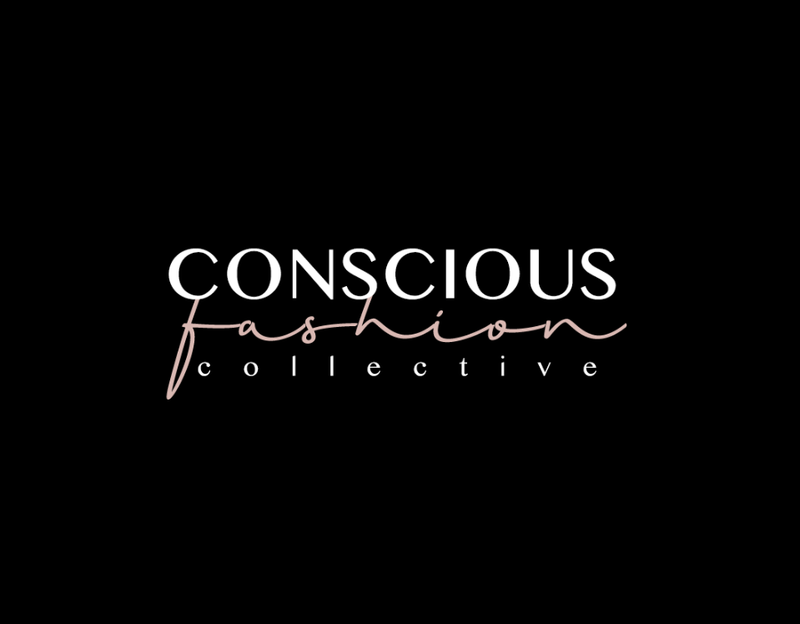 Wisdom by Lindsey McCoy, Co-Founder of Plaine Products; products sponsored by Plaine Products; photography and Heart-to-Heart by Kaméa Chayne, Creator of Conscious Fashion Collective and an author, eco-creative, and health coach. Follow @kameachayne and @consciousfashion on Instagram for more.